Napoleon Total War is the new chapter in the critically acclaimed Total War series and opens up a new narrative layer to the genre-defining franchise. From the early Italian campaign to the battle of Waterloo, Napoleon Total War covers two decades of relentless battles, a backdrop of a world in flames against which the story of an extraordinary military career unfolds. Whether you play as the legendary general or against, the outcome of war can never be guaranteed. The course of history relies on your ability to lead your troops through the most intense battles as never seen before in a Total War game. 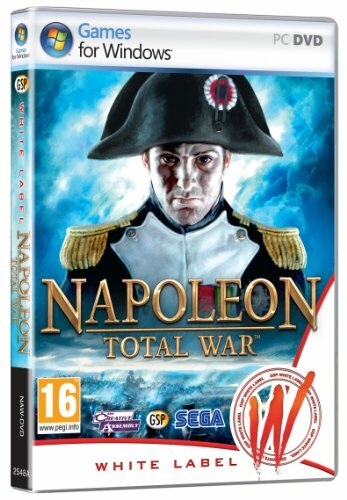 Napoleon: Total War defines a new standard within the genre with exciting characters and a cinematic narrative, mind-blowing battle sequences and an unrivalled mix of turn-based and real-time strategy. Take command and lead your armies on land and sea over three campaigns: Italy, Egypt and Mastery of Europe. The seamless mix of objective-based missions and sandbox experience makes this the most complete Total War experience to date. Napoleon: Total War features fully integrated multiplayer modes and a complete set of online functionalities: Steam achievements, gameplay bonuses, uniform editor and voice communications. Advanced weaponry enables new tactical options and even more exciting real-time battles on an epic scale, while the highly detailed environments and improved battlefield buildings guarantee a realistic recreation of famous historical battles.